Great news for all Facebook users. 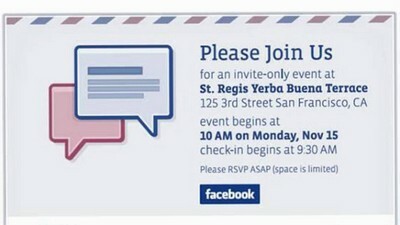 Facebook would be unveiling its email service, giving users access to own addresses ending with “@facebook.com”, starting this Monday, November 15th. Even though the Facebook email is still termed to be a rumor, tech analysts were of the view that its a definite. Insider sources reveal that the service which is under development is tagged as “Project Titan” and directly targeting Google’s email service, Gmail. The service is being eyed to stage a launch on Monday with invitations already sent out to the media for the upcoming Web 2.o Conference. Paul Buchheit, a former employee of Google who created Gmail and now works for Facebook, is said to be the mastermind behind the ‘Gmail Killer’. Of course, if designed by the intelligent guy with the view of popularity and features of the social network, the new email service would be every users dream. Facebook and Google seem to be giving each other a tough time. With the launch of the web-based email service, both the companies would need to take a stand upon deciding over sharing contacts. While we see many negative points being raised for both the companies, Facebook might be giving a relief to users who originally click over Gmail or other email services to check for new posts, shared pages, or comments forwarded at the wall. Facebook might start offering a stay-at-one-page, kind of look and feel for the users. For many users worldwide, Facebook has emerged to become the everyday page while some eye it as the address book. People who want to send photos, save messages, forward, and other features which the social network still lacks might be eased. i can even do anything on my facebook for 24hours now!! its wont stop loading and i cant click on anything,but when i open another account,it went well..what the heck is happening?? ?